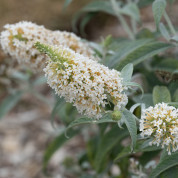 This is possible one of the smallest “Butterfly” bushes, only the very recent B. Dreaming Series may be classified in the same category. 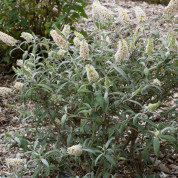 Better suited for the pot or rock garden, it makes a very tight ball with miniature spikes of white flowers. 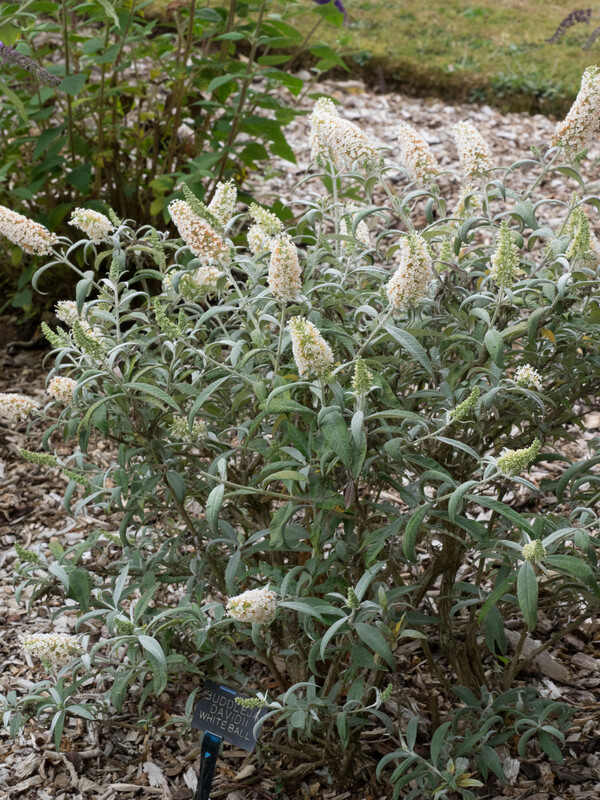 It should only be lightly pruned in the spring. 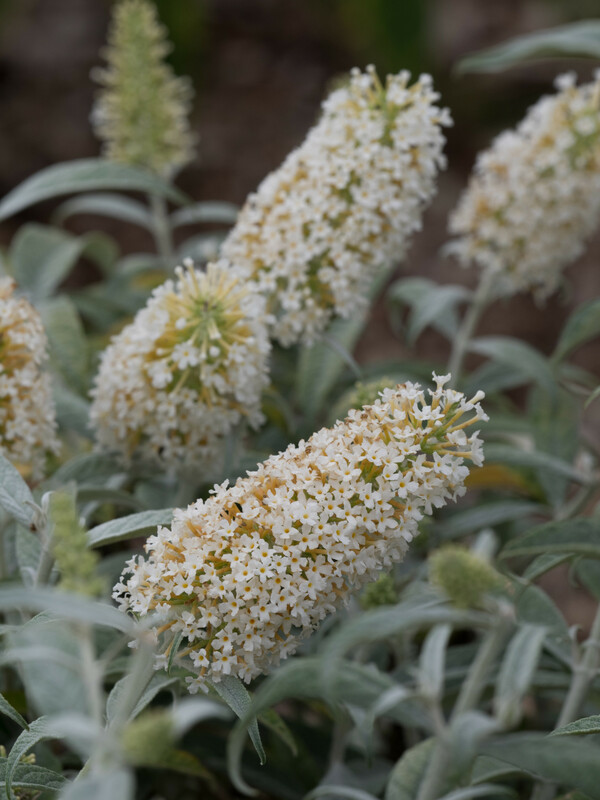 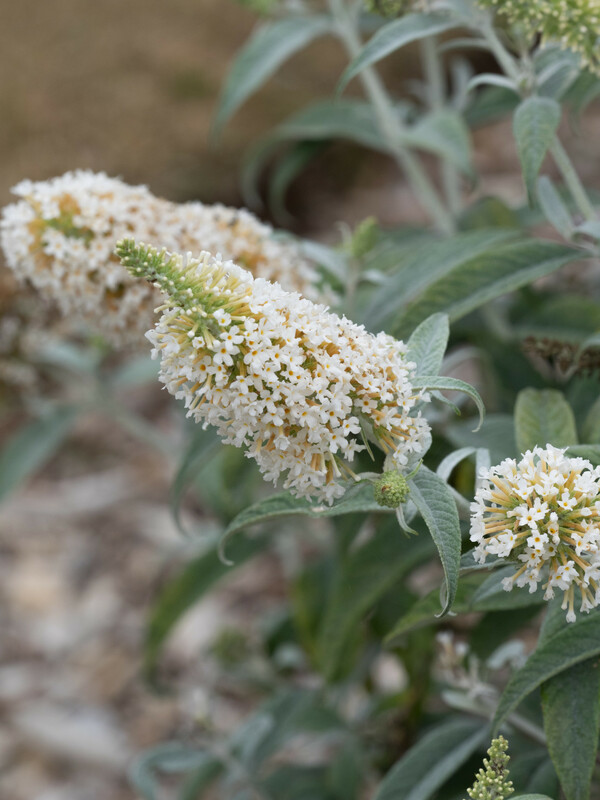 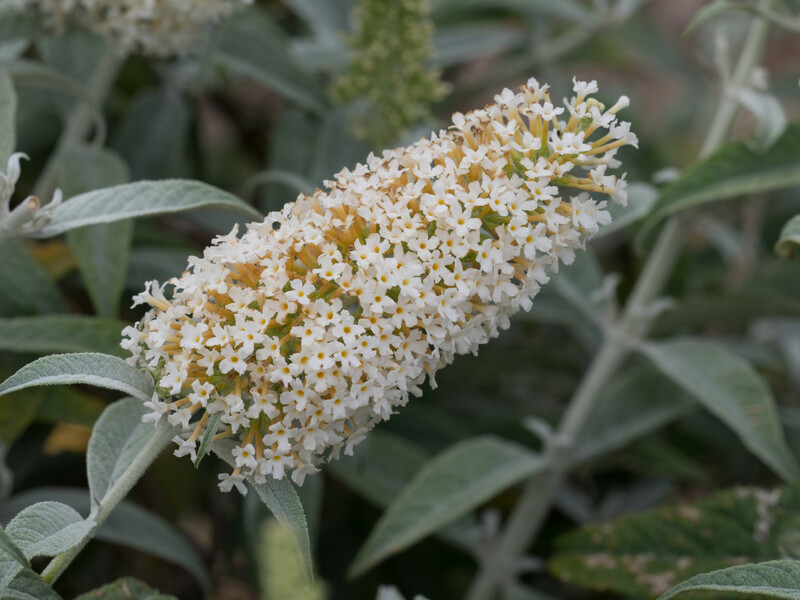 Buddleja ‘White Ball’ is a hybrid cultivar developed by Horticultural Research International at Boskoop in the Netherlands. 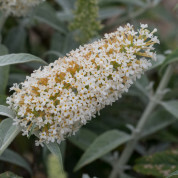 One of the parents was the white form of B. davidii var. 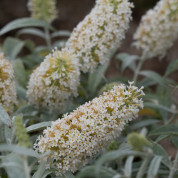 nanhoensis ‘Alba’.